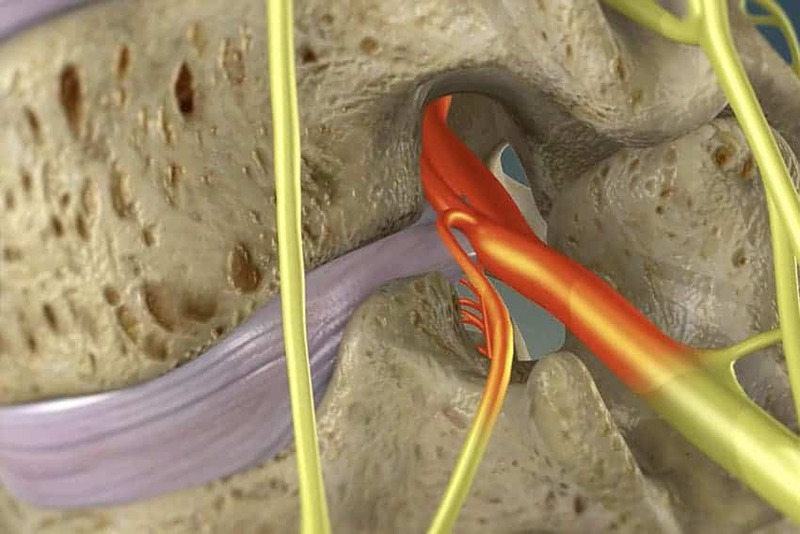 Endoscopic Foraminotomy or Foraminoplasty is a minimally invasive spine procedure used to relieve pressure to spinal nerve roots, caused by compression from bone spurs, disc herniations, scar tissue, or excessive ligaments. The purpose of the foraminotomy is to enarlge or open the narrowed region giving rise to compression on spinal nerves, so the nerves would have more room to move around without compression. Foramintomy are routine procedures at Spinomax Center, offered to patients with back or leg pain (lumbar foraminotomy) and neck or arm pain (cervical foraminotomy). After the procedure, usually the arm or leg pain and its associated tingling, numbness, and burning sensations disappears. Very high success rate than open spine surgery for back & neck pain. As there is almost no tissue damage, the intervention is much less cumbersome and the risk of complications is very low. No instability, as the structures that stabilize the spine – the ligaments and joints – remain unhurt. This is a one of main difference to any open surgical technique such as laminectomy, micro discectomy or fusion. The procedure is carried out under local anesthesia – no general anesthesia is required, hence patients with comorbidities can also go for procedure safely. Quicker wound healing as well as higher stability, as back muscles are not torn or cut. Little infection risk, as access is through a small incision (6-8 mm). Two hours after the intervention patient can walk without pain. After couple of days patient can go back to work & after 4 weeks one may resume usual sports activities. No or very small scarring on back. Conditions Can Endoscopic Foraminotomy procedure Treat? Patient is given mild sedation to relax in operation theatre. Under local anesthesia and x-ray control the narrowed bony opening through which spinal nerves comes out (foraminal stenosis) is enlarged with special reamers and micro burrs to help decompress the pinched nerve. Then an optical HD endoscope with working channels will be carefully forwarded up to the other part causing stenosis or narrowing of spine and those structure (capsule, ligamentum flavum and bone) are addressed. The foramen is hence enlarged until the nerve is freed. A single small suture is used to close the entry & Band-Aid is applied. There will be a follow-up examination the day after the intervention. During the first two weeks lumbar support may be advised, which sustains your back and will soon allow for resuming daily activities. It is recommended to start exercises after 2-3 weeks. After 5-6 weeks strengthening exercises for your back and abdominal muscles should be started. Simultaneously you might gradually resume your sports activities. After 3-5 days you can resume simple office work and slight physical work. You shouldn’t do any hard physical work during the first 6 weeks and then only gradually increase. Consult Spinomax Pain & Spine Center for Endoscopic spine procedures.